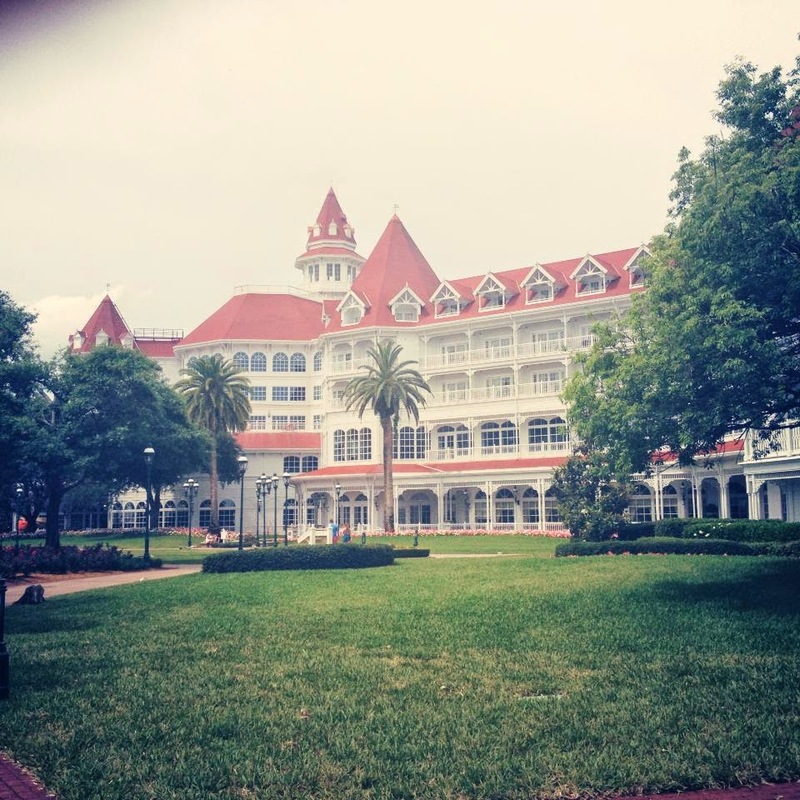 I was super spoiled to be able to live at Disney's Grand Floridian Resort & Spa for an entire week! I was there for a work trip, so I extended my stay a bit on both ends of the conference. Immediately, the Victorian style of the resort reminded me of Hotel del Coronado from my San Diego trip, which was the hotel in the movie Some Like It Hot. The bellhop told me it was modeled after that hotel. Beautiful! Our room was in the Conch Key building, with a porch view of the Magic Kingdom's castle and its nightly Wishes firework show. The only downside to the location was the boat horn tooting all night and the sound of the music from various water shows and fireworks. But they also do turndown service every night, so HELLO Belgian chocolates! There are multiple swimming pools, including one with a water slide. Dan loved the water slide more than pretty much anything else on the trip. There are plenty of restaurants, including some really fancy ones you need reservations for, character meals, and 24-hour snacks. We ate quite a few meals at the Grand Floridian Cafe. I also ate at their little 24-hour places and one of the higher-end restaurants and really enjoyed it all. 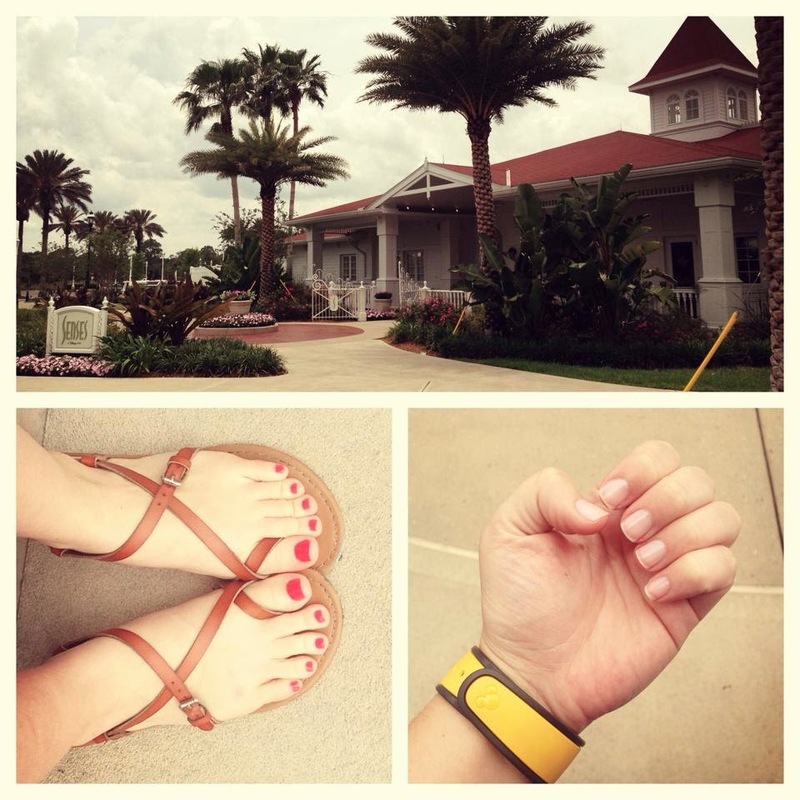 Thanks to work, I was treated to a mani-pedi at Senses, a Disney spa on the property. It was a super luxe spa, and I really enjoyed my treatment. They even gave me the nail polish, buffer, and file to keep! I would love to come back and enjoy a facial and massage. The Grand Floridian really is the most beautiful resort at Disney. It looks the part too. I can't say enough about how lucky I was to live at this beautiful property for a whole week. It was truly magical. To each his own, but I think the Boardwalk is the most beautiful. ;P So glad you enjoyed it! It is super cool to watch wishes from the balcony! Once in a lifetime type trip! I agree, the Boardwalk is beautiful! I think that my love of GF stems from a really beautiful lunch my sister and I had outdoors at the Hotel del Coronado a couple years back. The Hotel del Coronado is still beautiful, though you can tell its age. Definitely glam though, with a view of the ocean. Grand Floridian has a beautiful lagoon though.